In today’s market place it’s become essential that businesses evaluate their presence on mobile devices like phones and tablets. You should strongly consider building a Custom App i.e. Create a bespoke app from scratch. Mobile phones are placing laptop and desktop computer (for accessing the internet – And internet based software) and nowadays consumers are EXPECTING businesses to own an app (or at least have some kind of mobile presence). Our team of designers and developers are experienced in taking businesses of all sizes and helping them find the best app solution for their needs. During our first consultation with a new client, we try to establish a couple of things… firstly; ‘What kind of business do you run’ and secondly ‘What would be the main purpose of your new app’. IMPORTANT – If you run a small local business you may be more suited to our ‘Small Business Apps’ service. This is a modular based platform that enables us to build feature rich apps in a short period of time and at a fraction of the usual cost. For medium to large, national and international businesses, you’ll likely require a more bespoke development service i.e. a CUSTOM APP. You can normally divide custom apps into 3 different categories; Marketing Apps, Service Enhancement Apps and ‘Something New’. Some businesses simply require an app that is intended to help grow brand awareness, increase customer retention and acquire new customers. This can be achieved in a number of ways and our team has a shed load of experience in building these types of apps. Including Facebook, Instagram and Twitter integration, viral marketing systems, reward based marketing, audio and video implementation, information broadcasting etc. Apps are a great way to add value to a product or service. Perhaps you have a physical product that could feature a free app to supplement it. Or perhaps you own a web based service that could be easily translated into a mobile version. Basically, as a product or service provider, you should be thinking ‘outside the box’. Developing app based solutions that improve your customer experience. 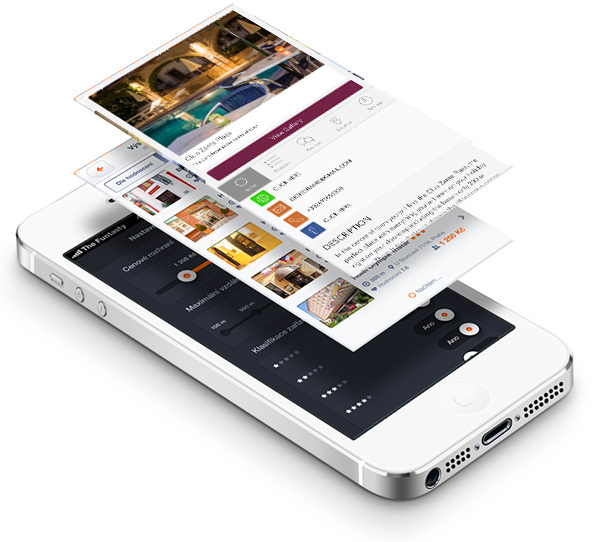 Imagine how a mobile app can enhance your business and out class your competition.